Virtualization technologies enable programmatic creation of compute, storage and network resources. This allows a fully version-controlled infrastructure with repeatable, on-demand resource provisioning. 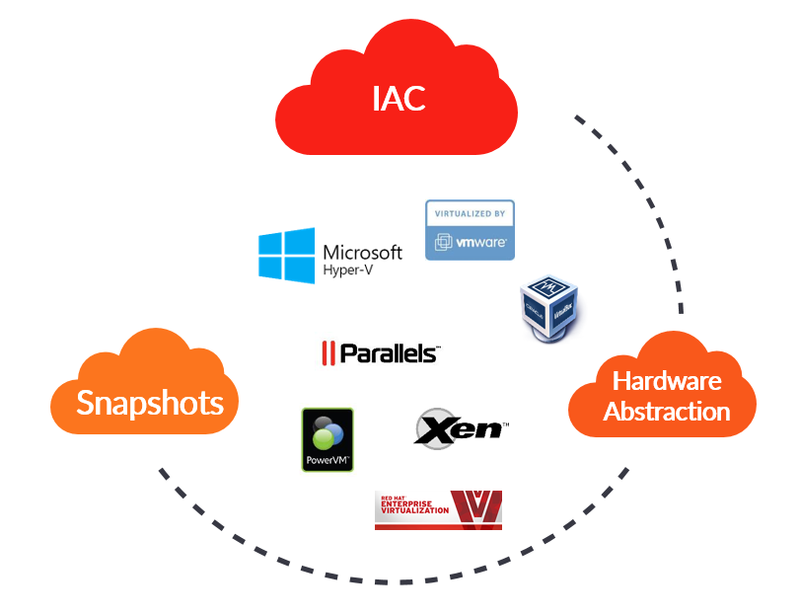 Whole-system snapshots provide an unprecedented ability to rapidly capture and restore the state of multiple machines, enabling powerful new maintenance workflows. VM portability is enabled across hardware of different manufacturers, specifications or generations. This dramatically simplifies common lifecycle issues.